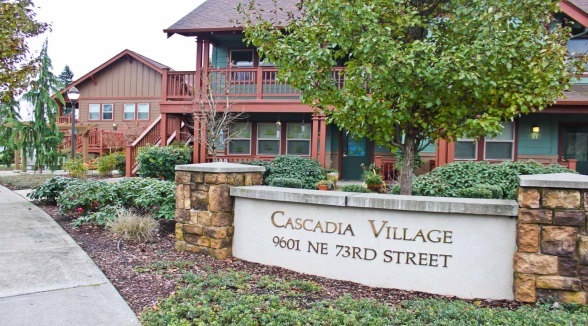 Cascadia Village offers 51 apartments ranging in size from studio to four bedrooms. The seven buildings are arranged around two landscaped courtyards, both with play structures, bicycle racks and seating. It is close to shopping and restaurants with a bus stop on Covington road. Breathe easy. Smoking is not allowed in any REACH property. This is a Tax Credit building. Learn more about Tax Credit units. • Transit access on the bus route #7. • Ranked “Car-Dependent” with a WalkScore of 46.